Stories about a giant sea monster that attacks and sinks ships at sea have captured the public’s imagination. Professor Pierre Aronnax, a naturalist, joins an expedition to destroy the monster. He takes along his servant Conseil. On board, Aronnax meets harpooner Ned Land, who spots the monster. The moment Ned Land harpoons, he realises he has hit a manmade object. It is a submarine! 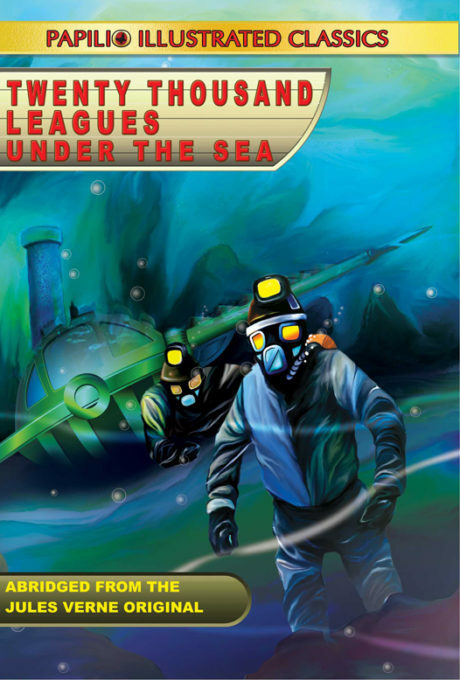 Twenty Thousand Leagues under the Sea is an amazing story of Captain Nemo and his mysterious submarine, Nautilus. One of the most liked novels in the world. Now abridged & illustrated for young readers.